One day, Oribe placed a woven bamboo flower vase directly on the alcove floor without sitting it on the standard thin board. When Rikyu saw this he said: “You know, from old times, teaists have placed vases on a thin board as a rule, no matter whether their make be ceramic, bamboo or woven basket. But there was always something unsatisfactory about this. Here you’ve displayed a stroke of genius. 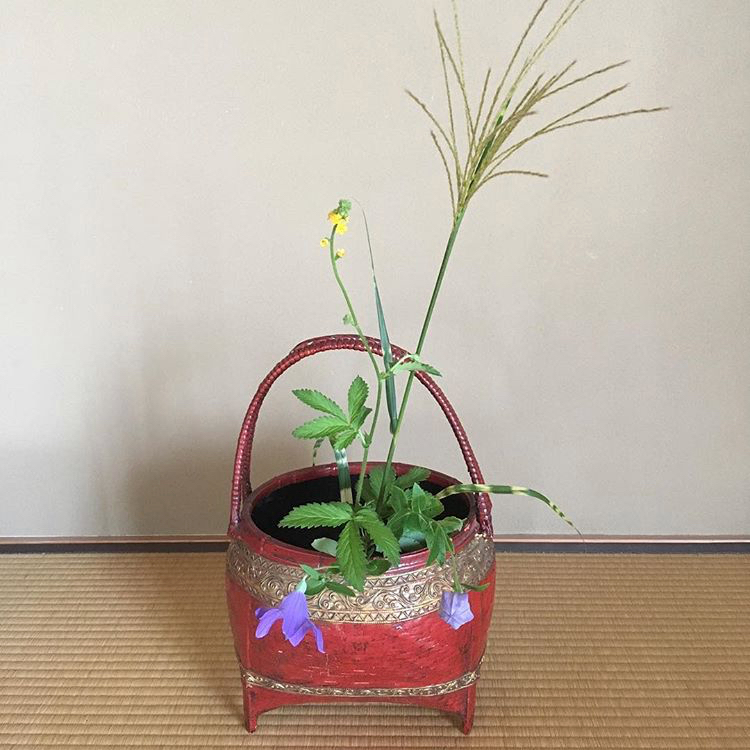 Perhaps I should become your student!” After this episode, it is said Rikyu always placed a woven bamboo flower vase directly on the alcove floor. This anecdote centres around a deed of Furuta Oribe when he was still learning from Rikyu, but the story rather reveals more about Rikyu. It seems Rikyu never failed to recognise genius when he saw it. Furthermore, without any hint of him being stubborn in his ways or making an issue of hierarchy, when his students showed brilliance, Rikyu readily learned from them. A pdf download of the above article, including more detailed information in footnotes and the original Japanese is available at my Patreon.